Free Hours: 3rd Thursday of each month from 5 to 7 PM. The museum is always free to those 25 and younger and to military and their families. 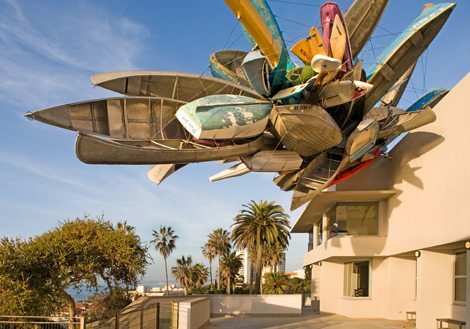 With a building on the coast in La Jolla and downtown San Diego the Museum of Contemporary Art San Diego (MCASD) has prime locations to display their collection. The museum has a mission of serving “diverse audiences through the exhibition, interpretation, collection, and preservation of art created since 1950”. The museum has free admission the third Thursday of each month from 5 to 7 PM. The next free admission date is next Thursday, January 17th. Current exhibits at the La Jolla location include Behold America! Art of the United States, a collaboration with the San Diego Museum of Art and the Timken Musuem of Art. The MCASD portion of this exhibit highlights landscapes of the United States and runs through February 10th. 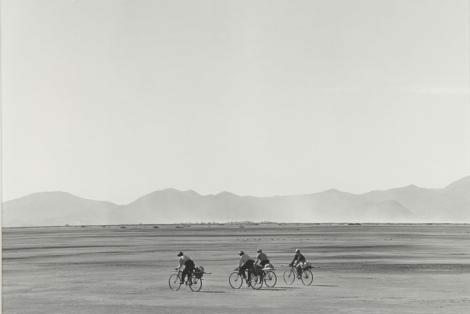 Also currently on display is Photography in Mexico, selections from the permanent museum collection of photographs. Manuel Álvarez Bravo is prominently featured in this exhibit, which ends March 10th. The downtown location currently presents Margaret Noble: 44th and Landis which is an auditory and visual representation of the artist’s upbringing in City Heights. This exhibit ends January 20th (next Friday). Also on display for the duration of 2013 is The Very Large Array: San Diego / Tijuana Artists in the MCA Collection. This exhibit features more than 100 artists from the border region that San Diego and and Tijuana anchor. Both branches of the museum are in good locations for grabbing dinner or a drink before or after a visit and parking in the evenings shouldn’t be an issue. 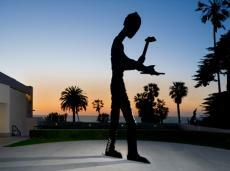 If you visit the La Jolla location you’ll be well situated to enjoy sunset since the museum sits just above the Pacific with a clear view to the west. Have a great weekend and I hope you enjoy the MCASD collection. « The Starting Line – Junior Seau Autopsy Confirms Brain Damage: Is this the Beginning of the End for Pro-Football?